This article will instruct you how to download, login, and configure the VirtualShield extension for your Google Chrome browser. This tutorial works with Google Chrome on both macOS and Windows computers. If you have the Google Chrome browser installed, please skip this first step. You will now see a window that looks like the image below. Click the "ADD TO CHROME" button. A popup will appear, asking you to confirm the installation. Click the "Add extension" button to continue. That's it! VirtualShield is now added to your Google Chrome browser. You can access it anytime using the VirtualShield icon that will now show up on the right-hand side of your address bar inside Chrome (see below). 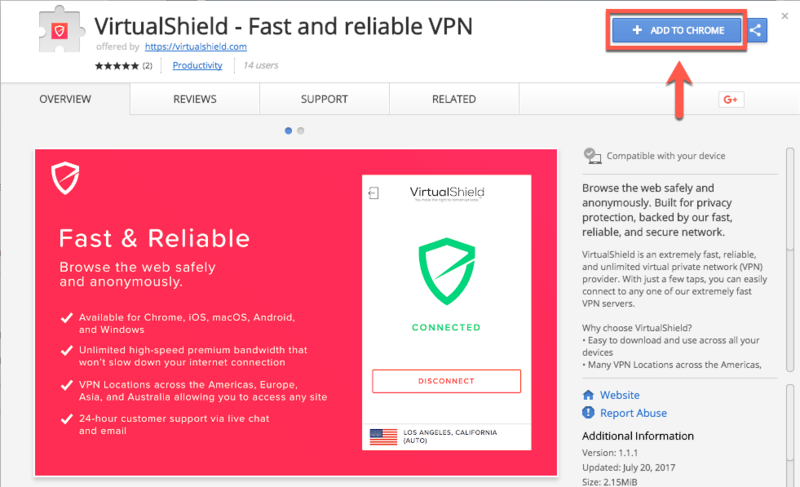 For more information on how to use the VirtualShield Chrome extension, please check out our article, Getting Started with the Chrome Extension.